Got problem with LG Optimus Zone 3 that won’t turn on? Solve this problem on your own using the troubleshooting action that surprisingly easy to do so you can have your phone back in no time. LG Optimus Zone 3 that Won’t Turn On – With the complex system of Android smartphone this day, problem bounds to happen. In some cases, the phone won’t turn on. This is really annoying and also worrying because it could mean that the phone is really broken and there is no way to fix it. 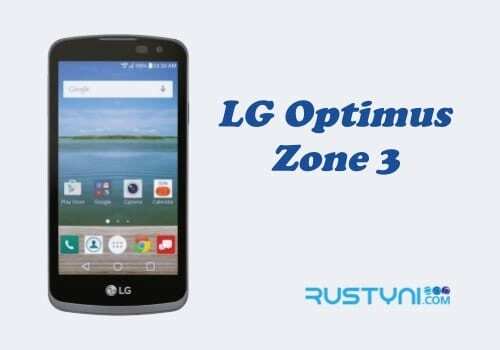 If you got the same problem with your LG Optimus Zone 3, do not rush to the nearest phone’s store to buy a new one. Try these troubleshooting actions that you can do on your own. If nothing works, get some help from technician so you don’t have to spend money to get a new one, not when this one is fixable. Force reboot the phone will help to clear any glitch or firmware crash that blocks the current. Release the back cover, take the battery out, press “Power button” for a full minute to release trapped electricity in the capacitor, place the battery back and turn it back on. If the phone is running out of battery, it won’t turn on no matter what you do. Charge the phone for a couple of minutes. Make sure that the charging process is running smoothly by making sure the entire charging signs show up, such as LED indicator that lights on and charging icon that shows up on the screen. If there is no sign of it, you need to further evaluate it. If charging the phone didn’t work, you need to check for the possible cause of this issue. To do this, boot the phone into Safe Mode. If you can boot and turn on the phone into Safe Mode successfully, then there is a problem with one of that 3rd party app on your phone. Find the culprit and disable or uninstall it. After you done everything and nothing work, it is time to let professional people take a look at it or you can bring it to LG’s technician to get it fix.